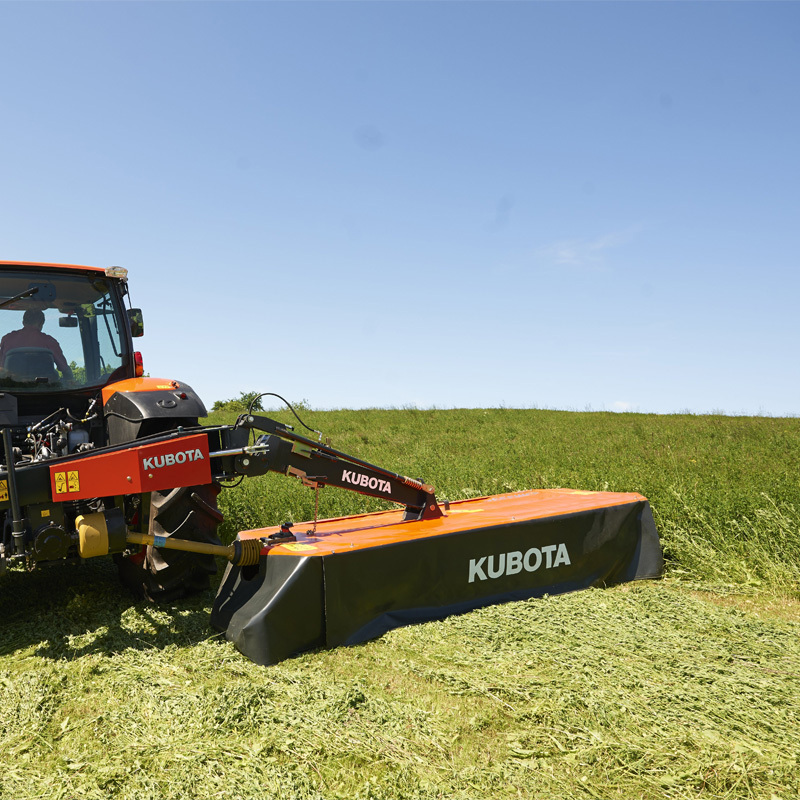 Kubota offers a centre mounted plain disc mower with a hydraulically suspended design in a working widths of 2.8 and 3.2m. 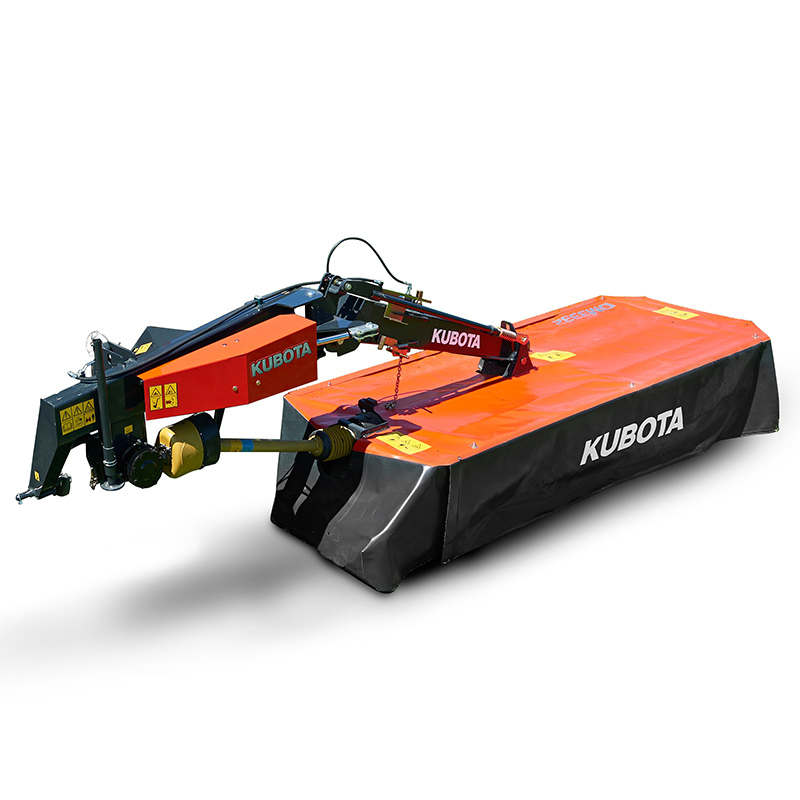 The DM3300 models are fitted with the fully welded Kubota cutterbar, with an even number of counter-rotating discs for a wider overlap, and excellent cutting results in all conditions. 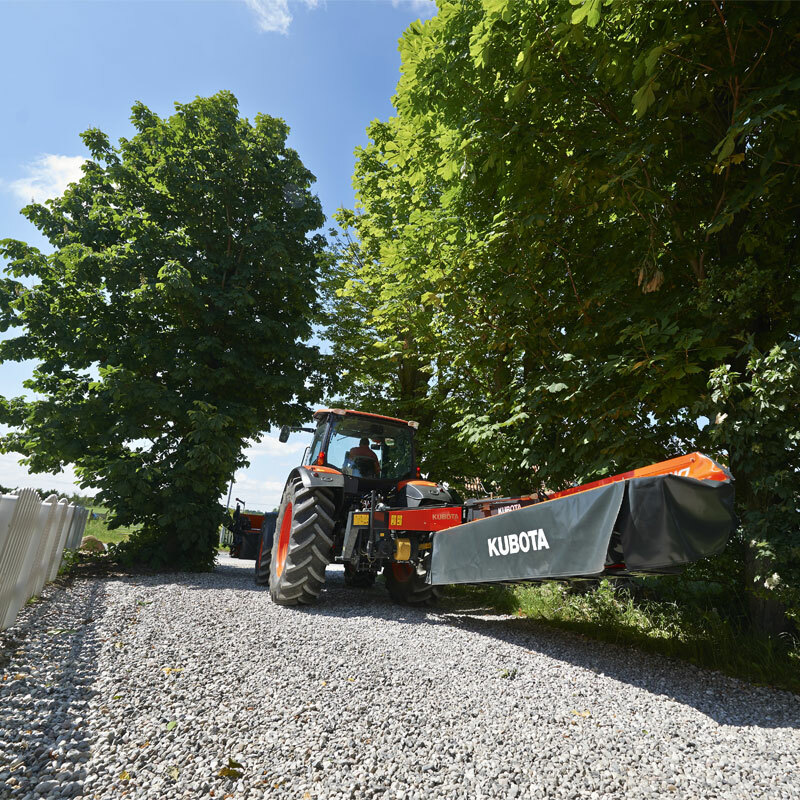 Hydraulic suspension for precise setting of ground pressure and superb adaptation. Centre suspension for even weight distribution, stable operation and quick reactions to changes in contours. 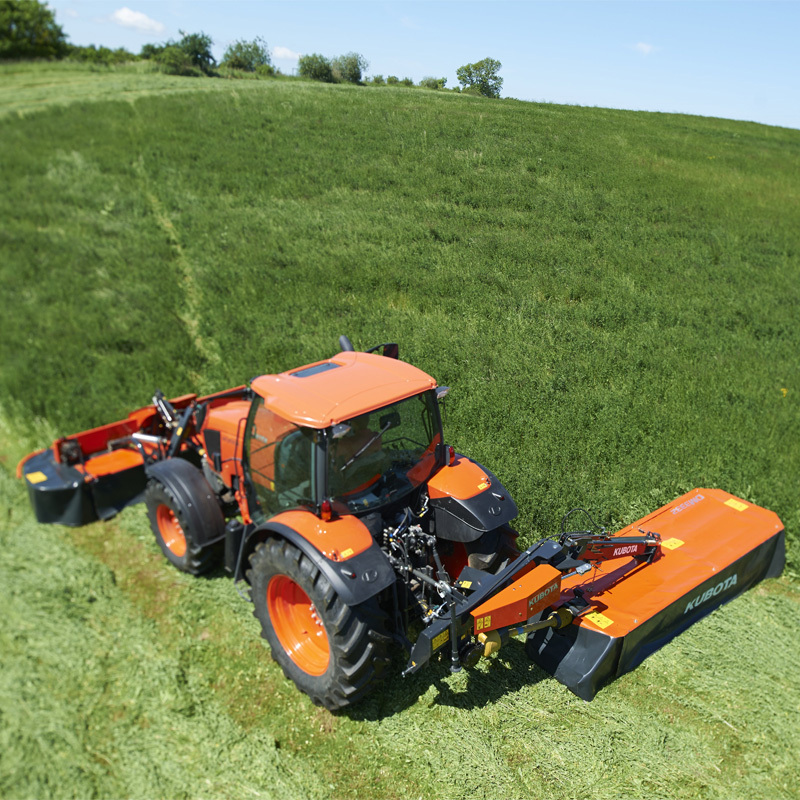 Easy lift on headlands without activating the 3-pt linkage – sufficient clearing under the cutterbar. Integrated NonStop BreakAway system protecting the cutterbar. 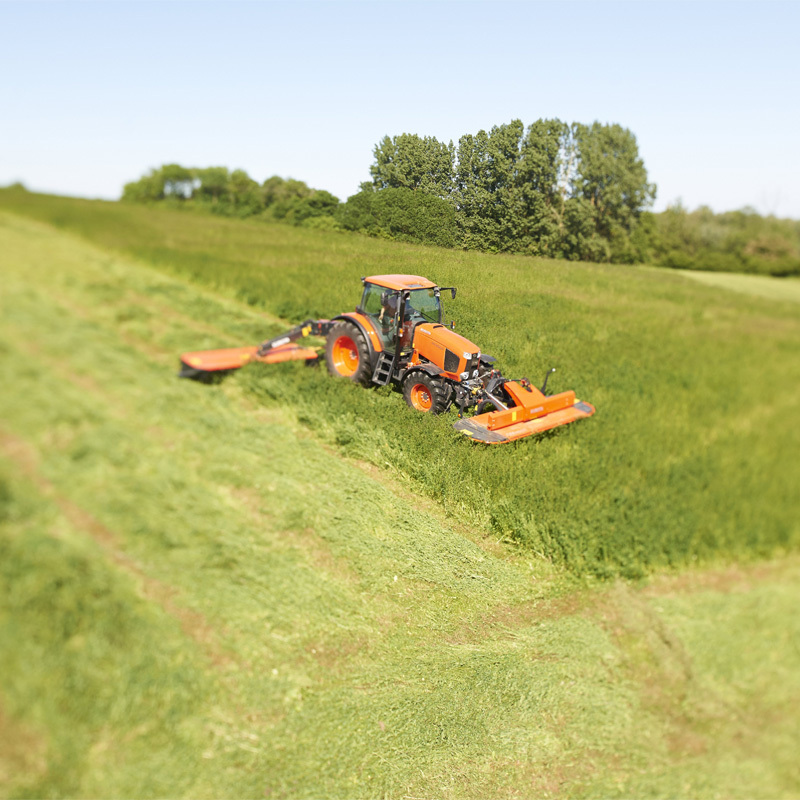 Excellent ground following on slopes – 15º upwards and downwards mowing operation range.